Five ingredients. That’s all you need to make these simple, sweet treats. Whether you need to feed the kids and a few of their friends breakfast or a group of screaming football fans packed onto the couch, keep this donut bite recipe in your back pocket for the next time you need to quickly feed a crowd. Start with a store-bought can of refrigerated homestyle biscuits. Separate the biscuits and cut each biscuit into 4 pieces. In your deep fryer, heat the oil to 350 degrees. Place the biscuit pieces in a single layer in the deep fryer basket and lower into the oil. Fry the biscuits for about 2 minutes, until they are golden brown. 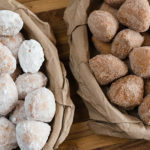 After draining the donuts in the fryer basket, either roll them in a cinnamon sugar mixture while they are still hot, or let the donut bites cool slightly and roll them in powdered sugar. 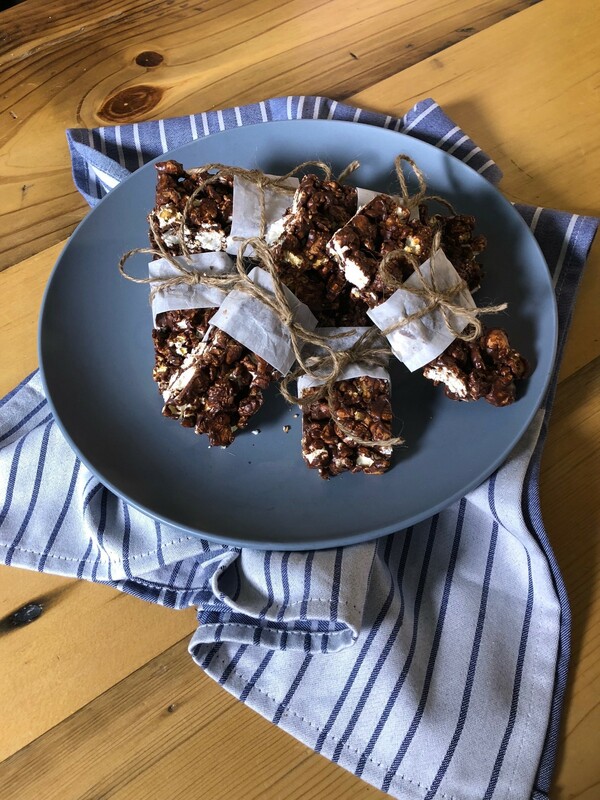 After the bites are coated in your topping of choice, they are ready to pop right in your mouth. These 5-ingredient, 2-minute donut bites are a no-fail crowd pleaser (I mean, who doesn’t like fried dough?). Put them out for a fun, hand-held breakfast or fry them up for an easy dessert if you’ve already pulled out the deep fryer for dinner. We’ll warn you now, it’s hard to stop at just a few. Make sure you make plenty, and we mean plenty, to go around. Separate the biscuits and cut each biscuit into 4 pieces. In a shallow dish or resealable plastic bag, mix sugar and cinnamon. Set aside. Heat oil to 375°F. Place biscuit pieces in a single layer in deep fryer basket and carefully lower into the preheated oil. Fry, turning with tongs, until golden brown, about 2 minutes. Drain doughnut bites in basket. While still hot, roll in cinnamon sugar mixture. Or, place doughnut bites on paper towels to drain and cool slightly, then roll in confectioners" sugar or dip in glaze. Packing the right snacks for a road trip can make all the difference. 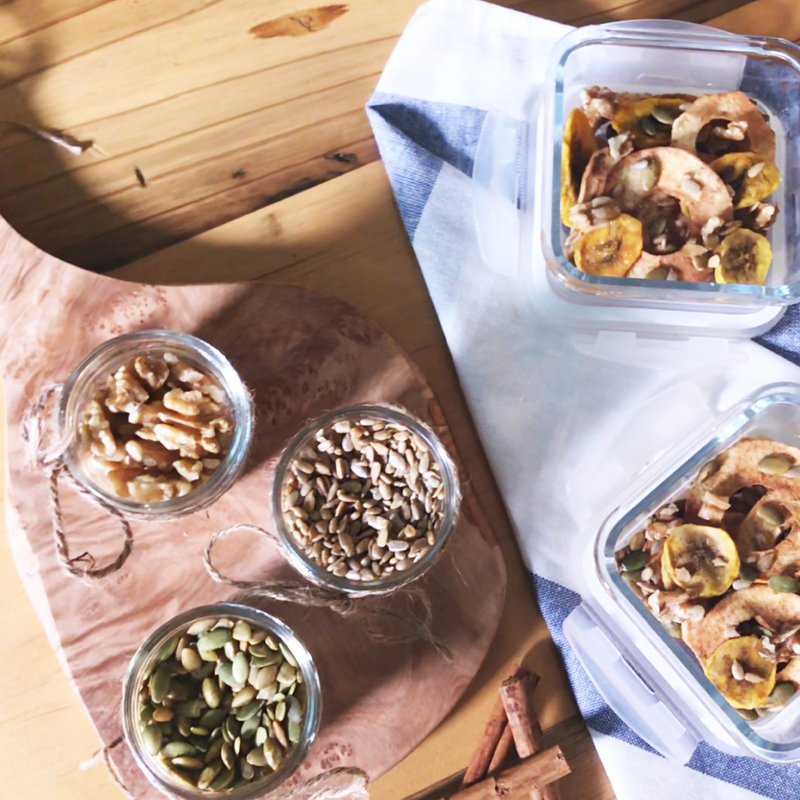 Our Make It with Hamilton Beach host, Miranda Malisani, holistic nutritionist and nutrition expert, shares our recipe for delicious dehydrated apple rings and banana chips that will please road trip passengers of any age. 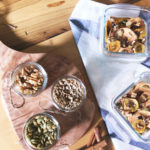 Good luck trying to stretch these snacks along your journey – these simple to make and healthy treats won’t last long! Peel, core and slice apples (1/4 inch thick). In a small bowl mix honey, cinnamon and nutmeg. Dip apple slices in this mixture and remove any excess dripping. Place each ring on dehydrator tray. Peel and slice bananas (1/4 inch thick). In a small bowl mix maple syrup and turmeric. Add all banana slices to this bowl and mix carefully to cover all pieces. Place on separate dehydrator tray. Set dehydrator at 135 degrees F for 10 hours (apples), 11 hours for bananas. If you’re craving apple pie but don’t have the time to make one from scratch, put away the pie dish and satisfy your craving with these easy-to-make bites. 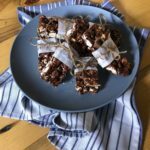 They are done in about 20 minutes and are a tasty after-school snack, party dessert, or tailgate treat. Using the SmartChop® Food Chopper or a food processor fitted with the chopping/mixing blade, coarsely chop apples (we used granny smith, but use whatever looks best at the grocery store or the cream of your apple-picking crop). With the SmartChop® attachment, the apples pass through holes as they’re chopped and fall into the bowl preventing them from over-processing and turning to mush. Use these perfectly chopped apples in the filling for your bites. In a bowl, combine apples, cream cheese, confectioner’s sugar, cinnamon, and nutmeg. Then unroll store-bought crescent roll dough (see – super easy) and separate into triangles. Spread a thin layer of caramel sauce on each triangle then spoon about 2 teaspoons of the the apple mixture on top. Roll (starting from the winder end of the triangle) into a crescent shape and place on a parchment-lined baking sheet. Get the kids involved and let them roll while you prep the next piece of dough. Bake for 15 to 20 minutes at 375 degrees, until they are golden brown. 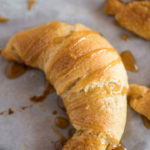 We drizzled extra caramel sauce on top before taking a bite, but you could top them with confectioner’s sugar or even a scoop of cinnamon ice cream. Whenever you’re in need of a quick dessert (or dare we say breakfast) recipe this fall, keep these easy apple pie bites in mind and bring the orchard to your table in under 30 mins. Heat oven to 375°F. Line a baking sheet with parchment paper. Set aside. Using a food chopper or food processor fitted with chopping/mixing blade, coarsely chop apples. In a large bowl, combine chopped apples, cream cheese, confectioners’ sugar, cinnamon and nutmeg. Unroll dough onto a cutting board and separate into triangles. Spread a thin layer of caramel sauce on each triangle. Spoon about 2 teaspoons apple mixture evenly on each triangle. Starting from the wider end, roll into a crescent shape. Place on parchment-lined baking sheet. Bake for 15 to 20 minutes or until brown and crisp. Cool 5 minutes. Drizzle with additional caramel sauce before serving. I think we can all agree that if it’s covered in Buffalo sauce, it’s likely (definitely) delicious. Whether you’re noshing on Buffalo Chicken Dip, Buffalo pasta salad, Buffalo macaroni and cheese, or classic Buffalo chicken wings, you’re savouring every single minute. This deep-fried snack is a creative vegetarian option to serve at your tailgate, party, or in front of the T.V. during the big game. Our tasting panel couldn’t have been more pleased with the result and would gladly eat these instead of or along side classic Buffalo wings on gameday. We all agreed on one thing though – get them while they’re hot. Right out of the deep fryer is the best way to enjoy these vegetarian delights so go ahead and fry up the entire head of cauliflower – you’ll be shocked at how quickly they’re gone. 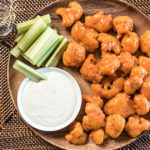 And according to any Buffalonian, it’s ONLY acceptable to serve these bites with bleu cheese dressing (don’t even mention ranch). They’ll be quick to tell you that anything else is completely unacceptable.